36/25 Highway/City MPG Kia of Clarksville is pleased to offer this good-looking 2019 Kia Optima LX in Gray. Well equipped with: 6 Speakers, Heated front seats, Remote keyless entry, Steering wheel mounted audio controls, 4-Wheel Disc Brakes, ABS brakes, Air Conditioning, Alloy wheels, AM/FM radio, Auto High-beam Headlights, Brake assist, Bumpers: body-colour, Delay-off headlights, Driver door bin, Driver vanity mirror, Dual front impact airbags, Dual front side impact airbags, Electronic Stability Control, Emergency communication system, Four wheel independent suspension, Front anti-roll bar, Front Bucket Seats, Front reading lights, Fully automatic headlights, Heated door mirrors, Illuminated entry, Knee airbag, Leather Shift Knob, Leather steering wheel, Low tire pressure warning, Occupant sensing airbag, Outside temperature display, Overhead airbag, Overhead console, Panic alarm, Passenger door bin, Passenger vanity mirror, Power door mirrors, Power steering, Power windows, Rear anti-roll bar, Rear reading lights, Rear window defroster, Security system, Speed control, Speed-sensing steering, Split folding rear seat, Tachometer, Telescoping steering wheel, Tilt steering wheel, Traction control, Trip computer, Turn signal indicator mirrors, and Variably intermittent wipers. Priced below KBB Fair Purchase Price! $1,500 off MSRP! 33/25 Highway/City MPG Kia of Clarksville is very proud to offer this charming 2018 Kia Forte EX in Snow White Pearl. Well equipped with: EX Premium Plus Package (10-Way Power Adjustable Driver's Seat, Auto-Dimming Rear-View Mirror, Autonomous Emergency Braking (AEB), Front Collision Warning System, Lane Keep Assist, Leather-Wrapped Shift Knob, Pedestrian Detection, Power Sunroof, Radio: UVO eServices Infotainment AM/FM/MP3, Supervision Meter Cluster, Ventilated Front Seats, and Xenon High-Intensity Discharge Headlights), 17" x 7.0" Alloy Wheels, 4-Wheel Disc Brakes, 6 Speakers, ABS brakes, Air Conditioning, AM/FM radio: SiriusXM, Automatic temperature control, Blind spot sensor: Blind Spot Detection warning, Brake assist, Bumpers: body-color, Cargo Hook, Cargo Net, Delay-off headlights, Driver door bin, Driver vanity mirror, Dual front impact airbags, Dual front side impact airbags, Electronic Stability Control, Exterior Parking Camera Rear, Front anti-roll bar, Front Bucket Seats, Front Center Armrest, Front dual zone A/C, Front fog lights, Front reading lights, Front wheel independent suspension, Fully automatic headlights, Heated door mirrors, Heated Front Bucket Seats, Heated front seats, Illuminated entry, Leather Seat Trim, Leather steering wheel, Low tire pressure warning, Occupant sensing airbag, Outside temperature display, Overhead airbag, Overhead console, Panic alarm, Passenger door bin, Passenger vanity mirror, Power door mirrors, Power steering, Power windows, Radio: UVO eServices Infotainment AM/FM/MP3 Audio, Rear seat center armrest, Rear window defroster, Remote keyless entry, Security system, Speed control, Split folding rear seat, Steering wheel mounted audio controls, Tachometer, Telescoping steering wheel, Tilt steering wheel, Traction control, Trip computer, Turn signal indicator mirrors, and Variably intermittent wipers. $2,557 off MSRP! Priced below KBB Fair Purchase Price! 24/33 City/Highway MPG Kia Store East is honored to offer this stunning-looking 2019 Kia Optima S in Horizon Blue. Well equipped with: Black Cloth, 4-Wheel Disc Brakes, 6 Speakers, ABS brakes, Air Conditioning, AM/FM radio: SiriusXM, Anti-whiplash front head restraints, Auto-dimming Rear-View mirror, Automatic temperature control, Blind spot sensor: Blind-Spot Collision Warning warning, Brake assist, Bumpers: body-color, Delay-off headlights, Driver door bin, Driver vanity mirror, Dual front impact airbags, Dual front side impact airbags, Electronic Stability Control, Emergency communication system: UVO eServices, Four wheel independent suspension, Front anti-roll bar, Front Bucket Seats, Front Center Armrest, Front dual zone A/C, Front fog lights, Front reading lights, Fully automatic headlights, Heated door mirrors, Illuminated entry, Knee airbag, Leather steering wheel, Low tire pressure warning, Occupant sensing airbag, Outside temperature display, Overhead airbag, Overhead console, Panic alarm, Passenger door bin, Passenger vanity mirror, Power door mirrors, Power driver seat, Power steering, Power windows, Radio data system, Radio: AM/FM/MP3/SiriusXM Audio System, Rear anti-roll bar, Rear Parking Sensors, Rear seat center armrest, Rear window defroster, Remote keyless entry, Security system, Speed control, Speed-sensing steering, Split folding rear seat, Spoiler, Sport Cloth Seat Trim, Steering wheel mounted audio controls, Tachometer, Telescoping steering wheel, Tilt steering wheel, Traction control, Trip computer, Turn signal indicator mirrors, and Variably intermittent wipers. We have been serving Louisville, Ky, and the surrounding areas since 1923!!!!! $2,427 off MSRP! Priced below KBB Fair Purchase Price! 24/33 City/Highway MPG Kia Store East is pumped up to offer this good-looking 2019 Kia Optima S in Ebony Black. Well equipped with: Black Cloth, 4-Wheel Disc Brakes, 6 Speakers, ABS brakes, Air Conditioning, AM/FM radio: SiriusXM, Anti-whiplash front head restraints, Auto-dimming Rear-View mirror, Automatic temperature control, Blind spot sensor: Blind-Spot Collision Warning warning, Brake assist, Bumpers: body-color, Delay-off headlights, Driver door bin, Driver vanity mirror, Dual front impact airbags, Dual front side impact airbags, Electronic Stability Control, Emergency communication system: UVO eServices, Four wheel independent suspension, Front anti-roll bar, Front Bucket Seats, Front Center Armrest, Front dual zone A/C, Front fog lights, Front reading lights, Fully automatic headlights, Heated door mirrors, Illuminated entry, Knee airbag, Leather steering wheel, Low tire pressure warning, Occupant sensing airbag, Outside temperature display, Overhead airbag, Overhead console, Panic alarm, Passenger door bin, Passenger vanity mirror, Power door mirrors, Power driver seat, Power steering, Power windows, Radio data system, Radio: AM/FM/MP3/SiriusXM Audio System, Rear anti-roll bar, Rear Parking Sensors, Rear seat center armrest, Rear window defroster, Remote keyless entry, Security system, Speed control, Speed-sensing steering, Split folding rear seat, Spoiler, Sport Cloth Seat Trim, Steering wheel mounted audio controls, Tachometer, Telescoping steering wheel, Tilt steering wheel, Traction control, Trip computer, Turn signal indicator mirrors, and Variably intermittent wipers. We have been serving Louisville, Ky, and the surrounding areas since 1923!!!!! 29/22 Highway/City MPG Kia of Clarksville is excited to offer this attractive-looking 2019 Kia Sorento LX in Titanium Silver. Well equipped with: 3.51 Axle Ratio, 3rd row seats: split-bench, 4-Wheel Disc Brakes, 6 Speakers, ABS brakes, Air Conditioning, Alloy wheels, AM/FM radio, Blind spot sensor: Blind Spot Collision Warning warning, Brake assist, Bumpers: body-color, Cargo Net (Floor), Carpeted Floor Mats (7-Passenger), Delay-off headlights, Driver door bin, Driver vanity mirror, Dual front impact airbags, Dual front side impact airbags, Electronic Stability Control, Exterior Parking Camera Rear, Four wheel independent suspension, Front anti-roll bar, Front Bucket Seats, Front Center Armrest, Front reading lights, Fully automatic headlights, Heated door mirrors, Illuminated entry, Low tire pressure warning, Occupant sensing airbag, Outside temperature display, Overhead airbag, Overhead console, Panic alarm, Passenger door bin, Passenger vanity mirror, Power door mirrors, Power steering, Power windows, Radio data system, Radio: UVO Play w/AM/FM/MP3, Rear anti-roll bar, Rear seat center armrest, Rear window defroster, Rear window wiper, Remote keyless entry, Security system, Speed control, Speed-sensing steering, Split folding rear seat, Spoiler, Steering wheel mounted audio controls, Tachometer, Telescoping steering wheel, Tilt steering wheel, Traction control, Trip computer, Turn signal indicator mirrors, Variably intermittent wipers, and YES Essentials Cloth Seat Trim. Priced below KBB Fair Purchase Price! $2,000 off MSRP! 37/27 Highway/City MPG Kia of Clarksville is excited to offer this fantastic 2019 Kia Optima EX in Snow White Pearl. Well equipped with: Black Leather, 4-Wheel Disc Brakes, 6 Speakers, ABS brakes, Air Conditioning, AM/FM radio: SiriusXM, Anti-whiplash front head restraints, Auto High-beam Headlights, Auto-dimming Rear-View mirror, Automatic temperature control, Blind spot sensor: Blind-Spot Collision Warning warning, Brake assist, Bumpers: body-color, Cargo Hook, Cargo Net, Delay-off headlights, Distance pacing cruise control: Smart Cruise Control (SCC), Driver door bin, Driver vanity mirror, Dual front impact airbags, Dual front side impact airbags, Electronic Stability Control, Emergency communication system: UVO eServices, Four wheel independent suspension, Front anti-roll bar, Front Bucket Seats, Front Center Armrest, Front dual zone A/C, Front fog lights, Front reading lights, Fully automatic headlights, Heated door mirrors, Heated Front Bucket Seats, Heated front seats, Illuminated entry, Knee airbag, Leather Seat Trim, Leather Shift Knob, Leather steering wheel, Low tire pressure warning, Occupant sensing airbag, Outside temperature display, Overhead airbag, Overhead console, Panic alarm, Passenger door bin, Passenger vanity mirror, Power door mirrors, Power driver seat, Power steering, Power windows, Radio data system, Radio: AM/FM/MP3/SiriusXM Audio System, Rear anti-roll bar, Rear Parking Sensors, Rear seat center armrest, Rear window defroster, Remote keyless entry, Security system, Speed control, Speed-sensing steering, Split folding rear seat, Steering wheel mounted audio controls, Tachometer, Telescoping steering wheel, Tilt steering wheel, Traction control, Trip computer, Turn signal indicator mirrors, Variably intermittent wipers, and Wheels: 6.5J x 17" Machine Finish Alloy. $4,542 off MSRP! Priced below KBB Fair Purchase Price! 21/26 City/Highway MPG Kia Store East is proud to offer this handsome 2019 Kia Sorento LX in Titanium Silver. Well equipped with: AWD, 3rd row seats: split-bench, 4-Wheel Disc Brakes, 6 Speakers, ABS brakes, Air Conditioning, Alloy wheels, AM/FM radio, Blind spot sensor: Blind Spot Collision Warning warning, Brake assist, Bumpers: body-color, Delay-off headlights, Driver door bin, Driver vanity mirror, Dual front impact airbags, Dual front side impact airbags, Electronic Stability Control, Exterior Parking Camera Rear, Four wheel independent suspension, Front anti-roll bar, Front Bucket Seats, Front Center Armrest, Front reading lights, Fully automatic headlights, Heated door mirrors, Illuminated entry, Low tire pressure warning, Occupant sensing airbag, Outside temperature display, Overhead airbag, Overhead console, Panic alarm, Passenger door bin, Passenger vanity mirror, Power door mirrors, Power steering, Power windows, Radio data system, Rear anti-roll bar, Rear seat center armrest, Rear window defroster, Rear window wiper, Remote keyless entry, Roof rack: rails only, Security system, Speed control, Speed-sensing steering, Split folding rear seat, Spoiler, Steering wheel mounted audio controls, Tachometer, Telescoping steering wheel, Tilt steering wheel, Traction control, Trip computer, Turn signal indicator mirrors, and Variably intermittent wipers. We have been serving Louisville, Ky, and the surrounding areas since 1923!!!!! There’s nothing quite like getting behind the wheel of a brand-new vehicle. That unique smell and feeling you get when you first turn the ignition is one you’ll remember for years to come. Plus, searching for a new vehicle to make your commutes more efficient and fun is a rewarding process, and The Kia Store is here to make it even better. When you’re ready to begin this exciting journey, our team invited you to come check out our new Kia specials in Louisville. We always have great offers available for our most popular models, offering you a chance to drive away in the vehicle of your dreams that will perfectly fit your lifestyle. If you’re looking to elevate your drives with one of the newest Kia vehicles on the market today, you have come to the right place. 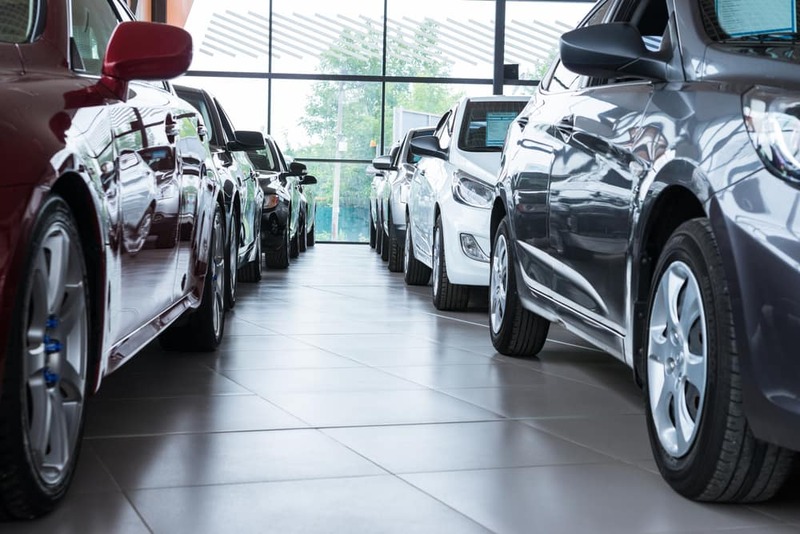 Our showroom is stocked with all the models you know and trust, making it easy to find something that suits both your driving style and personal tastes. From chic sedans and sporty SUVs to compact vehicles ideal for cruising the Louisville streets, it’s all right here. And, our always-rotating Kia specials are sure to sweeten up the deal even more. Whether you have a specific model in mind or don’t know which Kia is best for your needs, our easy-to-use search tools make it simple to find something perfect for you. Here, you can see what we have available right now, as well as which Kia specials are currently offered. Additionally, you can narrow your selection down when you search by price, MPG, body type, included features, and more. Best of all, you can do this right from your own home or on the go using a smart device. Still need some assistance? Come on in and let our talented and knowledgeable sales associates lend a hand. They know the ins and outs of what we have in stock, making it easy for you to find the right Kia special for your lifestyle. Visit The Kia Store Today! If you’re ready to begin your journey, our team invites you to see what Kia specials in Louisville we have available right now. Everyone here is excited to help you find the perfect Kia and are here for you from beginning to end.